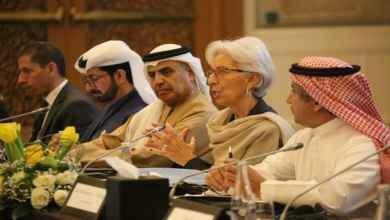 Christine Lagarde, Managing Director, International Monetary Fund (IMF) said the global economic recovery has strengthened, however it is not lifting the Middle East region enough. “The world economic growth at a pace of 3.9 percent in 2018 and 2019 is back on, with 75 percent of the world economy sharing in the upturn. Yet this tide is not lifting this region enough,” Lagarde said at the third annual Arab Fiscal Forum, organized by the Arab Monetary Fund and the IMF in Dubai on Saturday, according to Akhbar Elyaom English. IMF official added that for oil exporters, oil prices have rebounded to half-way between their lows and their highs from a few years ago, which is still putting significant pressure on fiscal balances and calls for a different economic model. “Youth unemployment is the highest in the world—averaging 25 percent, and exceeding 30 percent in nine countries.” Lagrarde said. She added that over 27 million hopeful young people will join the workplace over the next five years, anxious to be included, but so far their aspirations are unfulfilled, and their understandable frustration is compounded by perceived unfairness. Public debt has been on the rise, exceeding 50 percent of GDP in many of these countries, Lagarde said, referring to other challenges some countries are dealing with such as conflicts, terrorism, large inflows of refugees and heightened security risks. “So, there are big challenges all around. Stability is ultimately at stake,” Lagarde said. Unless fiscal policy is on a sustainable path, rising debt will weigh on already overburdened young people, and there will not be space to fund the spending needed for inclusive growth, she said. Revenue and expenditure policies complement each other and should be evaluated jointly as a package to achieve fiscal, economic, and social objectives, the IMF chief concluded.